Understanding our clients and their business is how we create such great websites, marketing plans and web applications. We combine great design, user experience, and technical knowledge to help our clients promote themselves online. With the power of our digital marketing solutions, our clients find it easy to connect with their customers. We specialize in building custom mobile and web applications that solve business problems. Careful planning, prototyping, designing, and testing allows us to produce intuitive applications that just work. We provide our clients with the technical expertise necessary to bring their digital products to market. Our team of developers, designers, and usability experts help turn our clients' ideas into reality. 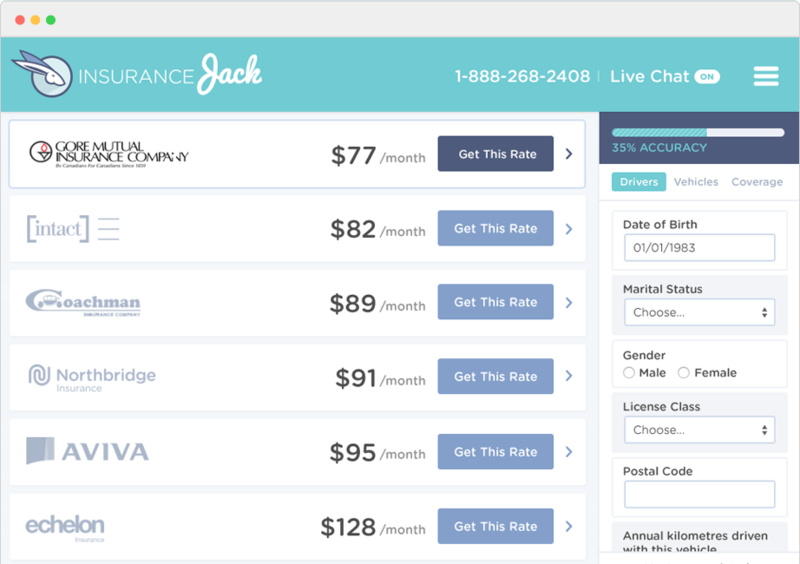 Insurance Jack is a web application that allows customers to instantly compare car insurance quotes from a number of Canadian carriers. We helped build the application (and the business) from the ground up. From strategy, branding and design, to API development and the creation of a Single Page App (SPA) architecture.